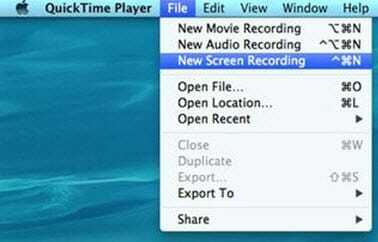 How to use quicktime to record screen and audio on Mac? The best alternative to QuickTime for smoothly recording screen and editing video. Quicktime is one of the most popular screen recording software for Mac devices to edit music or add audio to video but the sad part is that it cannot record audio from your device. If you wish to create an engaging tutorial on your Apple device then Quick Time will just disappoint you. 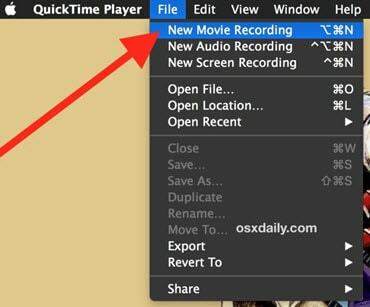 This tutorial includes everything you need to know use quicktime player for screen recording along with active audio input. Part2.How to use quicktime to record on iPad, iPhone? The very first step is to download SoundFlower software from internet. This software is actually an extension to Mac devices that allows audio information to pass into other applications. You can easily receive or send audio using this program. Once you have downloaded and installed your new software program then you must restart your system. It will help to refresh all controls so that you can never find any troube during recording session. Now you need to go to system preferences and then visit the sound tab over there. 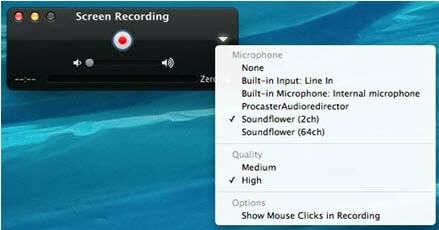 Select the sound output option and select SoundFlower (2ch) as your active output for current recording. It will help you to turn off audio signal to speakers and it will be directly transferred to soundflower platform. Once you have made adjustments for sound recording then it is right time to move towards Quick time window for initiating the recording process. Simply go the file option available on top bar and then select new screen recording option from drop down menu. Now you can start the recording process by simply hitting the little arrow available on screen. It will help you to create a tutorial using your Mac device. The video quality of Quick Time software tool is rated to be very high and soundflower can assist in improved audio quality so users are able to generate professional tutorials for games as well as for many applications. The recording process is much easier to follow for beginners as well as professionals. Once your recording process is complete then it is time to disconnect sound flower from audio input so that you can get back your audio on speakers. For this you have to visit system preferences and then select sound settings, go to output and select Internal Speakers as destination. 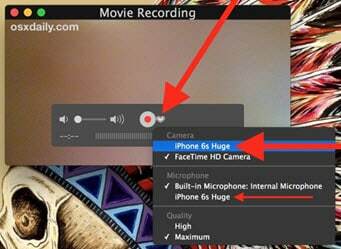 How to use QuickTime to record screen and audio on iPad, iPhone? Step 1: Just get connected to your iPhone or any other portable iOS device using Quicktime player. Step 2: Run your recording application. Step 3: Go to File and then select new movie recording option from the drop down menu. Step 4: It is time to make settings for sound and for this you have to select iOS on microphone as well as camera options. Once you have initiated all desired sound controls then it is time to move ahead. Step 5: Start the recording process. Step 6: Once your recording process is complete then preview your video; you can edit as well as save it to your device as per need. The quicktime player is really best option for your routine recording needs as it can gerenate videos with high resolution. This software program is easy to use and fast to operate. Perfectly compatible with iPad as well as iPhone so you can initiate recording process at anytime from anywhere. It allows users to do easy editing of videos. You have to perform few settings prior to recording as well as after finishing the recording process; it appears time consuming. 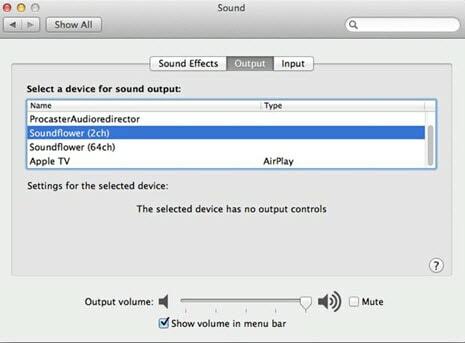 Users are not able to hear sound from speakers when audio is connected to Sound Flower so one cannot recognize whether right tracks are being recorded or not. If you are searching for a free screen recorder for Mac which has professional video editing tools, then it is good to go for Filmora9 Video Editor that is compatible with Mac platform. This software tool can be accessed for free and some of its incredible features include: easy interface, powerful editing and allows paid users to access so many additional resources.